Where do I begin with The Eyes of Laura Mars? Somebody read a book on film theory and the male gaze at some point in the late 70s and suddenly a spate of films like this one cropped up (I'm thinking of Body Double specifically, but there are more). Good or bad, they were making comments on a thick casserole of cinema, sexual politics, women's bodies, violence, power, passive viewing and pleasure. For a good introduction to The Eyes of Laura Mars, read the blog post in Le Cinema Dreams. 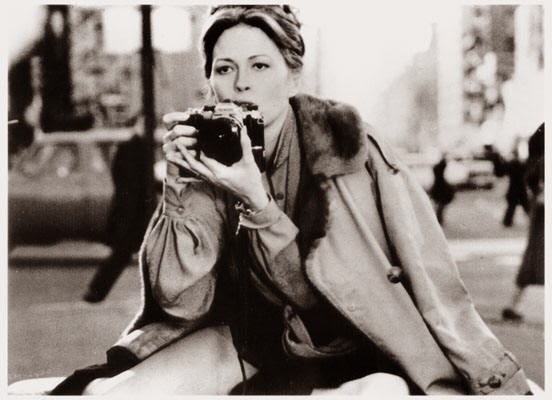 Anyway, it's a fashion film, so it's worth watching just for the clothes, and for Faye Dunaway's crazy intense, super plucked stare as she sees through the eyes of a killer. So, on to the clothes. These 24k gold plated ball drop earrings from Boticca are just the right hint of Upper East Side. 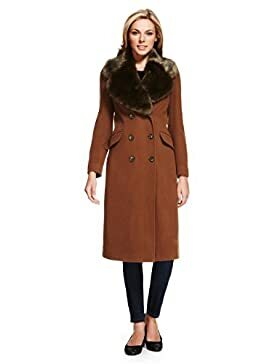 She's wearing a trench coat, but this cashmere mix coat from Marks and Spencer looks considerably warmer for this time of year. 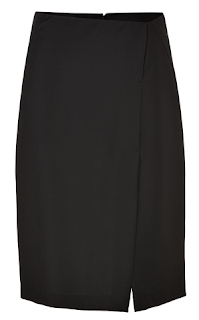 I couldn't find a skirt with two slits - two being the optimum number for crouching low on the ground in super high heeled boots to take high fashion photos buuuut I did find this lovely Jil Sander skirt that would pull this outfit together nicely. These boots are kind of sick.